This is one of my marintino's all time favourites and a great hearty winter lunch. The secret to this dish is all in the lamb. Cook it slowly in a moderate oven and make sure you check in now and then. Once done, the meat should just slowly fall off the bone....delizioso! Preheat oven to 170 C Heat half the oil over medium heat in a large oven proof casserole dish. Add the shanks turning 5-6 minutes or until brown in colour! Transfer to a plate. Add remaining oil and vegetables. Cook stirring for 5 minutes until softened. 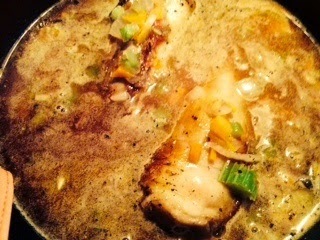 Return shanks to dish, add wine, stock, paste and thyme. Season and cover. Cook in Oven for 2.5 hrs, until the meat starts falling off the bone. 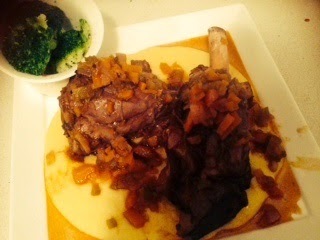 Place lamb on top of polenta, drizzle with sauce. serve with steamed broccoli and cauliflower.